The Daily Breeze reported on December 17, that while traffic and air quality studies for the proposed warehouse at the corner of West Redondo Beach Blvd and South Vermont show there would be no significant environmental impact or health concerns, the community is pushing for a full environmental review. A city hearing is set for Wednesday, December 20, where the mitigated negative declaration could be approved, allowing the project to move forward. Concerned stakeholders should attend the meeting at City Hall, 200 N. Spring Street, Room 1020 on Wednesday, December 20, noon. The project should be halved in size or other redevelopment considered, such as up to 200 units of affordable housing on the site along with some much-needed parkland. Harbor Gateway North was pleased to welcome Santa’s sleigh on December 11, as part of the Winter Wonderland Celebration. 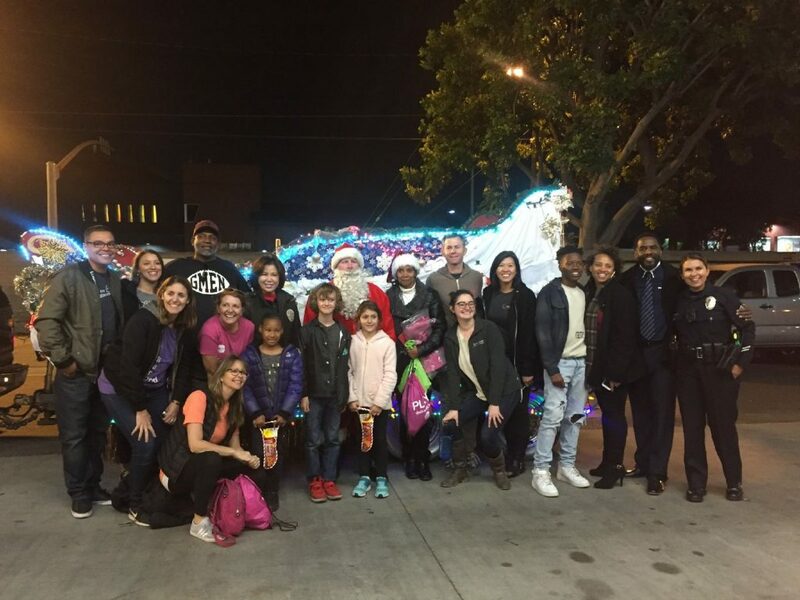 The sleigh left the Southeast LAPD Division about 4pm and traveled south through our community distributing candy along the way.